I make this in my Fagor 3-in-1 Electric Multi-Cooker which browns, slow cooks and pressure cooks (love it). Brown the meat. Drain off fat. Add other ingredints; stir, and cook for 30 to 45 minutes. 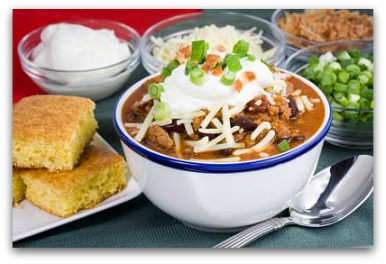 Serve with your favorite toppings and of course cornbread.